Nivedita Dey is a full-time poet holding a postgraduate degree from Stella Maris College, Chennai, India. 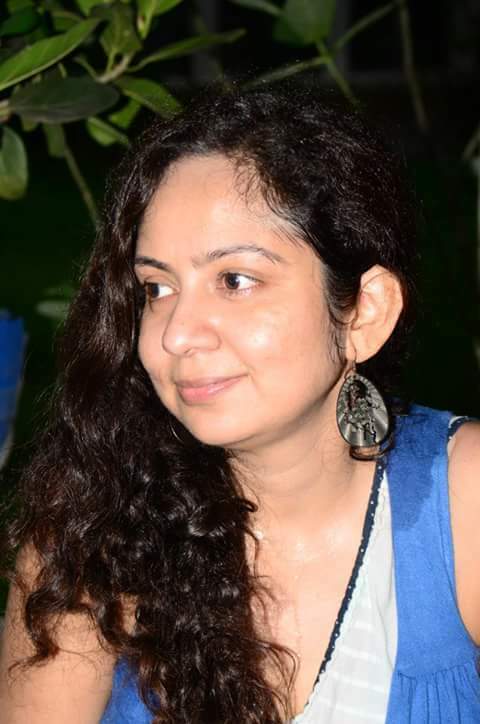 Born in a middle class Bengali family she calls herself as a Cosmopolitan with her heart rooted in several cities Pan-India, thus belonging to none and yet to multicultures. She began writing from the tender age of eight. In 2006 she won the Best Student Paper Award in Katha Asia International Utsav, Delhi, competing among University students from all over Asia. Through the years have been published nationally and internationally. Her poems have recently been widely featured in reputed literary magazines. Nivedita’s poetic philosophy is one of Hope and Humanism, seeking not to deny the stark realism of post-WWs, rather to transcend and alter this postmodern gloom. She writes to express the Personal as Political with a burning passion to make positive difference to the metamodern world through her art. Her works can be further read on her blog existential-anguish.blogspot.com. Tags IndiaMetropolis - Metrorail - MindNivedita DeyPoetryTuck MagazineWhat's in a Name?